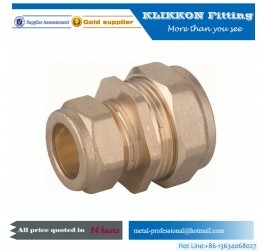 Klikkon Industry Co., Ltd is a professional Brass Fittings Manufacturer for over ten years. Under the dedicated effort and development of our team, we have established a successful business relationship with customers all over the world and our brass fittings are exported to many countries. We are proud that we can not only provide a wide range of brass fittings that will meet and exceed in quality and standard, but also our factory is equipped with the skilled and professional machines to finish the entire process on our own. Now we are considered as the leading Brass Fittings Manufacture in China and we aim to consistently improving our service to serve our customers better. We never stop pursuing the high quality of our brass fittings, also we are trying to get the better performance on the market promoting. So we are doing researches on the Keyword of Brass Fittings Manufacture all the time. Today we would like to share some of these statistics with you. Please look at the chart as following. From the above statistics, we can know that most of the keywords about Brass Fittings Manufacture are not difficult. 1. Most of Keywords’ Cost/Mo is less than 70$, only one is higher, which is from “hydraulic fittings”-310$. 2. Most of Keywords’ Difficulty is around 45 to 55. 3. Most of Keywords’ Global Searches are less than 8.5K. 4. Most of Keywords’ Broad CTR is less than 8%. Among the 5 related keywords of Brass Fittings Manufacture, “hydraulic fittings” had the third lowest Keywords’ Cost/Mo, the lowest Keywords’ Difficulty, the highest Keywords’ Global Searches and the highest Keywords’ Broad CTR. So I think this keyword is the best keyword to do the SEO.